— Ground black pepper to taste. — Refined sunflower oil 2 tablespoons. — Sunflower oil 3 tbsp. — 50 grams of mayonnaise. The first step in preparing a potato roll with meat prepare Korean carrot. If you do not want to bother, or you have little time, you can buy ready-made carrot at the supermarket. Vegetable wash out well. Peeler peeled. There is a special grater to shred carrots, or you can use the usual large grater. 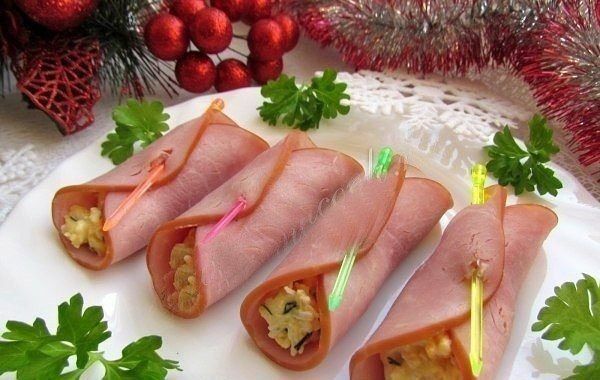 Natrёm on a grater, put into a suitable container. A mixture of herbs, vinegar, sugar, grated garlic. We mixed well. In a frying pan is heated sunflower oil and pour the carrot mix. Set aside in a cool place for 30 minutes to marinate. Stir to all layers of carrot juice is well soaked. Now we prepare the foundation of our New Year’s rolls — mashed potatoes. Potatoes are well wash out in flowing water, peeled. Cut into large chunks. Dipped in boiling salted water. Cook until tender. Merge all the liquid, add the butter. Carefully grind potato masher. Seasoned with pepper and salt to your taste. Let cool down. For the filling of potato roll, I used pork, although it can be chicken. Wash out, cut the plyonochku fat. Cut into small pieces. Bow purify, wash out and dry. In a pan pour sunflower oil, warm up. Laying sliced pork, fry until soft and add the chopped onion. Fry until cooked. Seasoned to taste with black pepper and salt. Working board was covered with cling film. We spread the chilled mashed potatoes. We form a desired shape under your food served. On a layer of potatoes Put the chilled meat filling. Distributed throughout the reservoir. 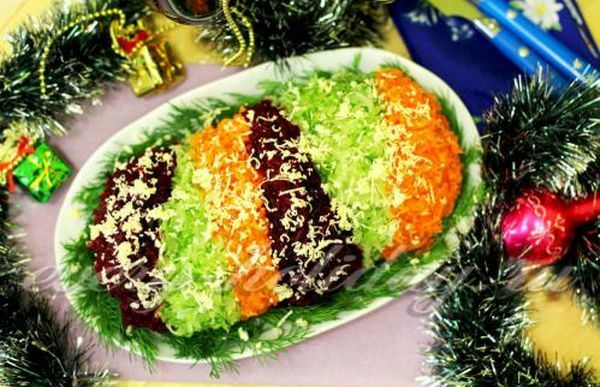 Carrot is a good present and marinated, distributed over the meat layer. Carefully wrapped in a roll and laid on the food served. For decoration you need to bake or boil the beets and carrots. I bake in the oven for about an hour in the foil. Cooled vegetables peeled and natrёm on a fine grater. Cucumber wash out and we shall rub with the skins as well. If the vegetables produced a lot of juice, it has to be overcome. Top roll lubricates mayonnaise. 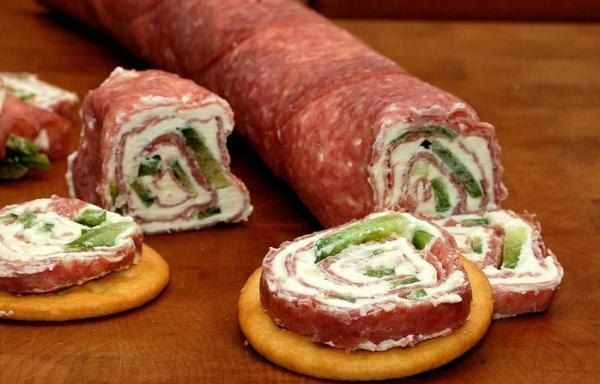 Decorate with grated vegetables and sprinkle with chopped hard cheese. Dill sprigs decorate the bottom of the roll around the entire circumference. New potato roll with meat ready. It can be expensive to treat guests. Cook with pleasure and enjoy your meal!